TV manufacturer Sharp used Berlin’s giant IFA consumer electronics show to introduce an 8K set, heralded as “the world’s first 8K-4K Direct-view LCD”. Labelled as the top-end of its Aquos range, the screen is capable of showing content in 8K, four-times the resolution of 4K, and using 7680 x 4320 pixels. Yoshihiro Hashimoto, managing executive officer at Sharp, during a recent press event in Taipei said the company, now backed by Taiwanese finance from Foxconn Electronics, said that the company is building a $10 billion TV manufacturing facility in Wisconsin. 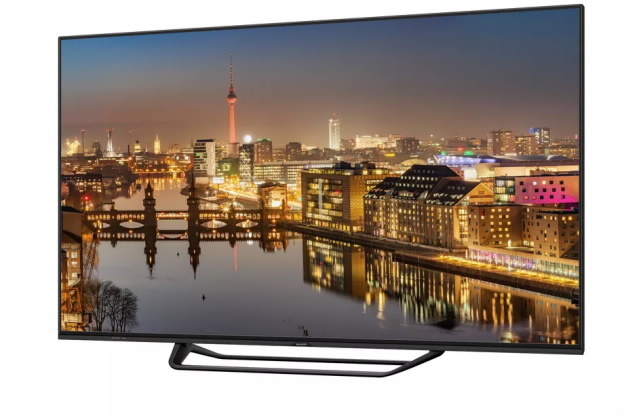 While IFA visitors could gape at the image quality, the actual first 70” commercial units would emerge in Taiwan next February and Europe in March, although no doubt other variants would be showcased at CES in the New Year. Prices were not mentioned although gossip at the show talked about 1 Million (Japanese) Yen, or about $9,000.